Heritages exceptional range of standard toilet seats are an optional extra for Heritages traditional toilets and co-ordinate with the Caversham furniture range. Available in a variety of colours this seat is easy to clean and durable to withstand everyday use in a busy household. 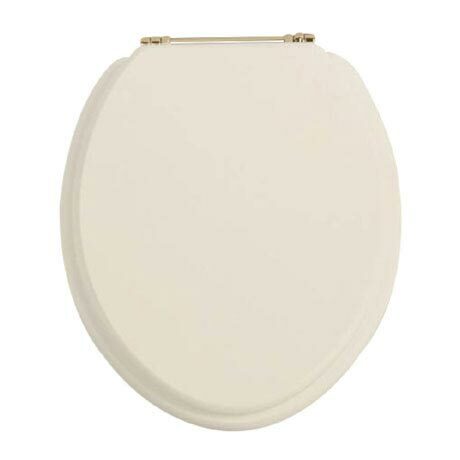 Featuring gold finish hinges that are adjustable to fit all British standard toilets. Love the product and the quality. Excellent service. Beautiful. Seat have told friends where I purchased it. I was looking for brass hinges so the gold don't quite match. "Really happy with this purchase, exactly what I wanted to finish off the bathroom."